The Highlands of Scotland are littered with distilleries, but because the area is so vast, each one has room to spread itself out. Although it’s not unheard of to come upon two within a ten-minute drive of each other (Pitlochry’s Blair Athol and Edradour, for example), there’s not always one that steals the spotlight. But there is in Tain. Sure, Balblair is technically in neighboring Edderton, but it’s relatively cheek-by-jowl to Glenmorangie in Highland terms. And there’s no question who Tain belongs to: I could smell Glenmo from afar, a scent as intoxicating as candy-making. Signage for the distillery is plentiful and easy to read as one approaches, while Balblair seems almost deliberately overlooked. 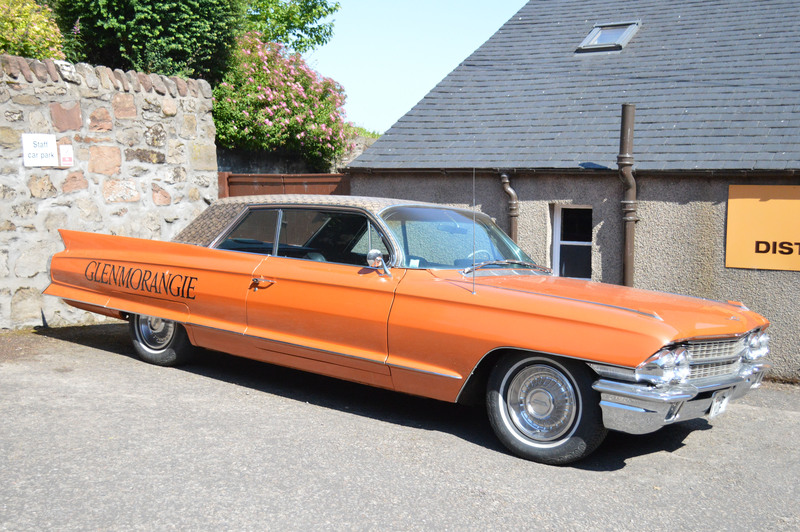 Considering Glenmorangie’s annual output of 6 million liters and far-reaching international presence—compared to the 15 to 20 percent of Balblair that’s bottled as single malt (by my reckoning, about 270,000 to 360,000 liters annually)—that’s not surprising. Despite taking the first tour of the day, I could tell how busy the place would be later: With the exception of Glenfiddich, the parking lot was the biggest I’ve seen yet for a distillery. The visitors’ center is very elegant with tasteful historical information and displays. Both Balblair and Glenomrangie have connections with nearby Pictish stones, and this is emphasized more prominently at the latter. It’s a sleek introduction to a brand that makes whisky of excellent quality and has the marketing to match. 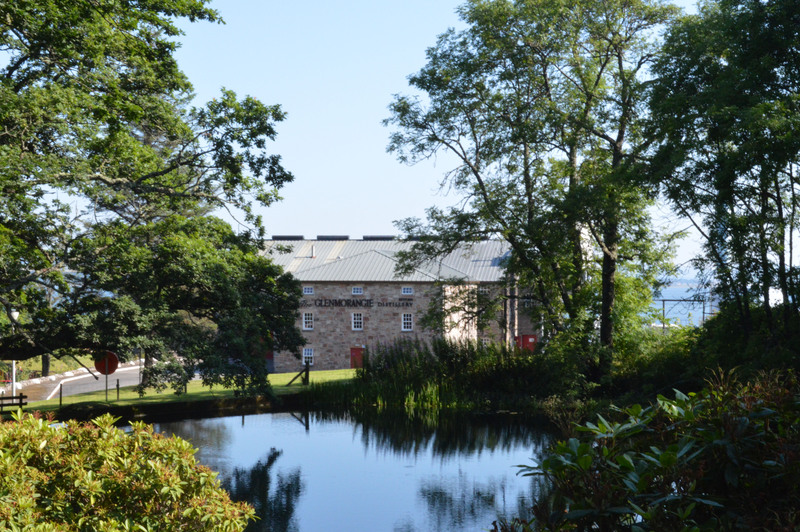 Glenmorangie (“Glen of Tranquility”) was founded in 1843 by William Matheson, who also had partial ownership of Balblair. After a renovation in 1887, blending firm Macdonald and Muir and whisky broker Durham & Co. bought the distillery in 1918, with M and M eventually assuming full ownership by the 1930s. Until the 1970s, Glenmorangie’s output was used primarily in blends. In 1979, the distillery doubled capacity to four stills; doubled again to eight stills in 1990; and finally reached the current 12 stills in 2008. In 1996 Glenmorangie went public and eight years later it bought the Scotch Malt Whisky Society. At the same time in 2004, Louis Vuitton Moët-Hennessy bought Glenmorangie and owns it to this day. Too many stills to count! We weren’t allowed in, of course, as production was in full swing. 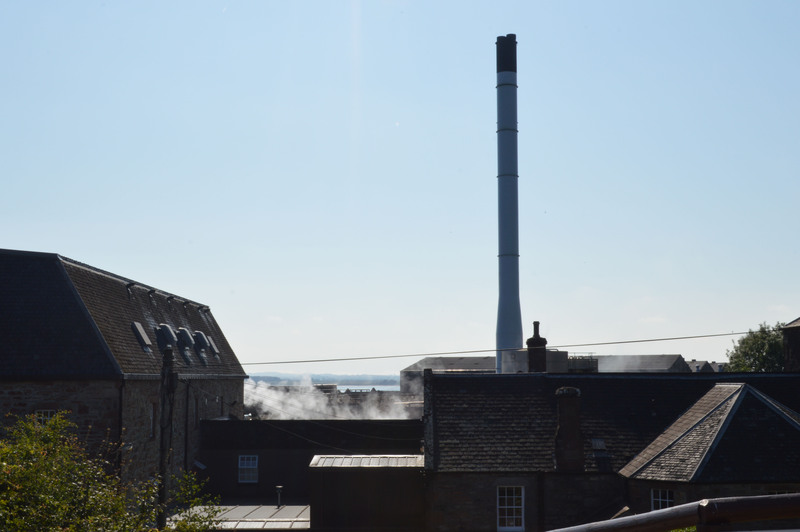 Listeners of WhiskyCast know that Glenmo proudly boasts “the tallest stills in Scotland” and they are indeed massive at 5.5 meters high. The stillhouse resembles a cathedral with its soaring, vaulted ceilings. 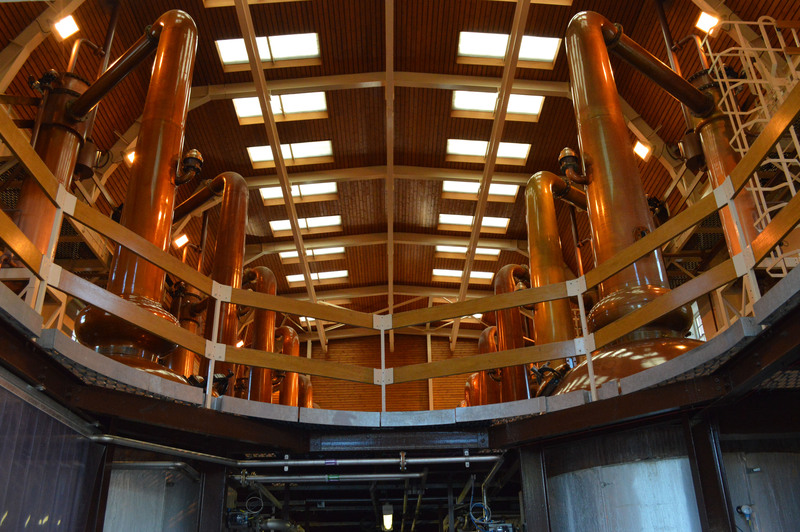 The original stills were used to make gin, so Glenmorangie’s stills today have retained a swan-necked shape. Each one holds 8,200 liters and has a lifespan of about 30 years. Just like at Glenglassaugh, the spent lees and pot ale go out to sea. As you can imagine, the spirit safe is massive and has 12 spouts. All those stills need something to go in them, and Glenmorangie has 12 washbacks whose wort goes through a 52-hour fermentation. Fun fact: Glenmorangie Signet uses both regular barley malt and chocolate malt, the heavily-roasted variety typically used for stout production. The best shot I could get of the warehouse—no photos inside! Glenmorangie’s 14 on-site warehouses hold 3,000 to 20,000 casks apiece (and I believe they have off-site storage in Brora as well). The brand uses only ex-Bourbon casks for primary maturation, with extra maturation in specialty wine casks like Oloroso sherry, port, Sauternes, etc. 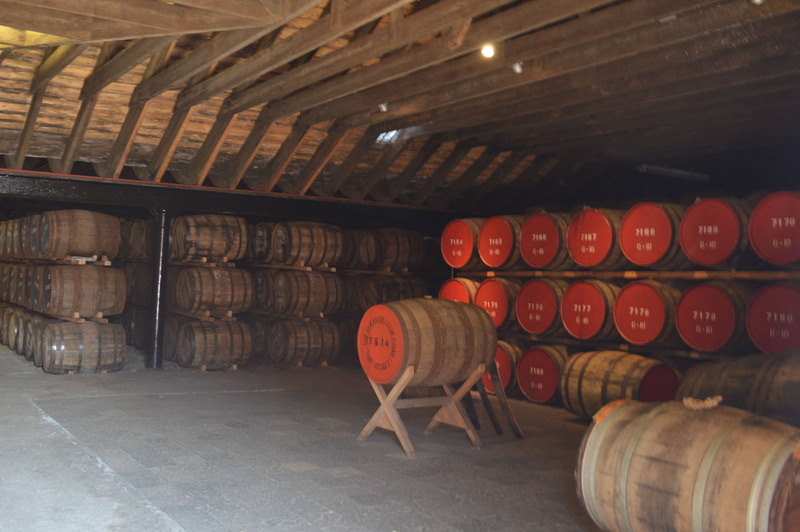 The tour guide made a big deal about how they use the casks only twice before selling them off to blended whisky makers. Speaking of casks, LVMH/Glenmorangie owns a whole tract of forest in the Ozark Mountains of Missouri for the express purpose of coopering. They make the casks, sell them to Jack Daniel’s and other bourbon distillers to use, and then buy them back. As at Pulteney and the Taiwanese distillery Kavalan, Glenmorangie ships the casks intact—no doubt at mind-boggling expense—to the distillery. They clearly take wood management very seriously. 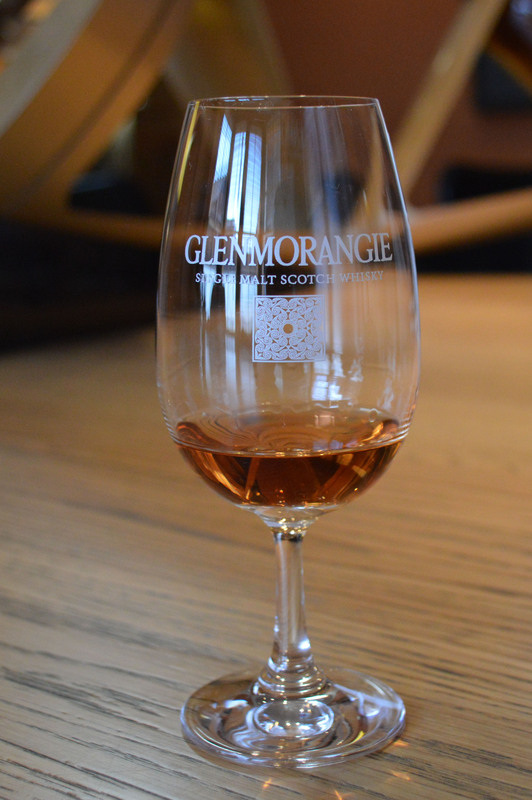 I enjoyed my tour of Glenmorangie, even though it sometimes felt like I was a prospective college student touring campus (that is, seeing only the shiniest bits and hearing only the company line). The distillery was in full production (silent season is in April, and I visited in July), so I was limited in my photo opportunities. On the other hand, I was able to walk out to the edge of the Dornoch Firth and take in the beautiful weather. There’s an old train track running right through the grounds overgrown with wildflowers and grass—a poetic reminder that, long before it was part of a luxury goods company, Glenmorangie was an anchor of industry in the sparse landscape of the Eastern Highlands. 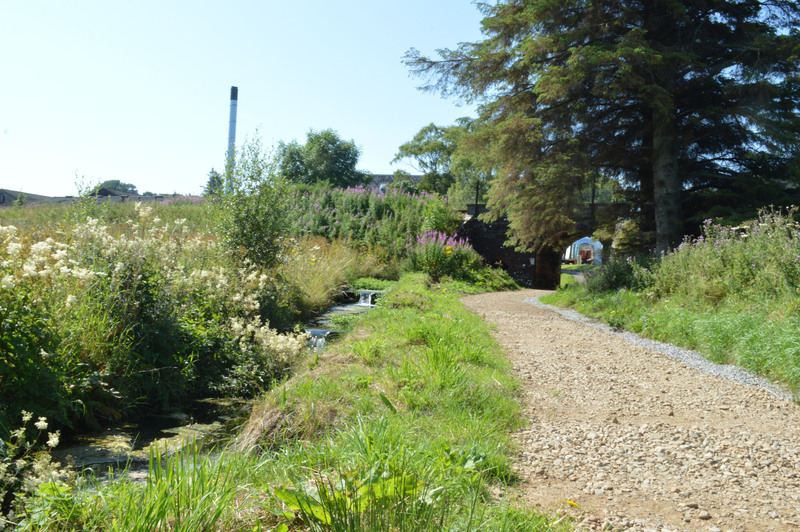 This wee walkway goes under the abandoned railbed straight to the Dornoch Firth. Finished for two years in port pipes after spending 10 years in ex-bourbon casks, the nose reflects the richness of the port with dark chocolate, cherries, honey, mint and a hint of citrus. The palate is surprisingly herbal with flavors of cacao nibs, coffee, walnuts and lingering spices on the back palate. By the way, the distillery recommends a half-teaspoon of water as the “perfect amount for a Glenmorangie.” Most Glenmos are bottled at 46% abv, so do with that advice what you will. I love this piece. Glenmo is magic. Thanks for the peek.